Ziedah Diata is a veteran Administrative Law Judge (ALJ) for the New York State Department of State, where she presides over hearings for the over 30 professions and occupations regulated by the Department. Ziedah is also a former regional representative to two New York governors, serving as a liaison to elected officials and community leaders. She also previously served as policy analyst to the Democratic leader of the New York State Senate. As an ALJ, Ziedah has worked to minimize the collateral consequences of convictions and barriers to reentry through the expansion of the Department’s access to justice initiatives. She coordinated pro bono representation for an ex-offender population that was largely unrepresented prior to her appointment, led an effort to support pro se litigants by making hearing preparation information available on the Department’s web site, and initiated the Department’s collaboration with the New York University Offender Re-Entry Clinic. Ziedah received a Juris Doctor from Georgetown University Law Center and a Bachelor of Arts degree in Journalism from the University of Maryland, College Park. Juliet has been a social justice advocate her whole life. She currently works for NJ Transit as the Director of Title VI and Environmental Justice compliance in the Office of Civil Rights and Diversity Programs. In this role, she directs agency-wide compliance pursuant to Title VI of the Civil Rights Act of 1964 and Executive Order on Environmental Justice. She has both volunteered and worked for organizations that focus on criminal justice reform, workforce development programming, educational equity, affordable housing, services for individuals with disabilities and compliance and policy. Juliet has a MA in Rehabilitation Counseling from George Washington University and a BA in biology and biological psychology from the College of the Holy Cross. Stephane Kirven is an Assistant Professor of Criminal Justice in the Criminal Justice and Human Security Department at the University of Bridgeport in Connecticut. She has taught university courses on law and criminal justice since 2005. She started her legal career with the New York City Legal Aid Society Criminal Defense Division before serving as a law clerk in the Criminal Court for the State of New York Unified Court System. She was a member of the New York County Criminal and Parole panel of assigned counsels for many years representing criminal defendants from arraignment through trial and also served as the town attorney in a Westchester County community. Her research interests include restorative justice, gender and the law, race and the law and domestic violence. She has published in the areas of restorative justice, women in the judiciary and due process in the campus adjudication process. She was awarded a teaching grant to develop curriculum and projects in restorative justice and to develop experiential learning opportunities. Professor Kirven is a peer reviewer for the Internet Journal of Restorative Justice and is a member of the National Association of Community and Restorative Justice. Stephane completed her undergraduate studies at Tufts University and she earned her Juris Doctorate from Georgetown University Law Center. Peter has been a mediator since 1986. Since the mid 1990s he has worked exclusively within the transformative frame. He mediates primarily in the family and workplace arenas. He has worked extensively for the United States Postal Service’s REDRESS Program as well as other government agencies with workplace mediation programs, including the Equal Employment Opportunity Commission and the New York State’s Division of Human Rights. In addition, Peter has extensive experience in community mediation cases. He often serves as a trainer and has written extensively about mediation practice and theory. Peter is currently a Fellow of the Institute for the Study of Conflict Transformation, a policy board dedicated to the furtherance of transformative practices in mediation and other modalities employed to address conflict. Kathleen is a social justice communications specialist who focuses her work on narrative strategy and the effective use of data for decision-making. Kathleen sent her first media release in 1988 as part of the buildup to the first National Coming Out Day. Since then, she has taken a broad intersectional approach to communications for justice. She has volunteered, worked and consulted with well over a hundred organizations over the last few decades on issues including racial and economic justice, queer liberation, ending the over-reliance on incarceration to solve our problems and building a community of economic justice for farmworkers. Kathleen has used a transformative justice approach to reclaim her own life and heart after the murder of her brother in 1985. Kathleen is currently the communications director at North Star Fund, New York’s community foundation that focuses on funding equity, peace and justice in New York City and the Hudson Valley. William is a long-time advocate of equality in education, sexuality and gender expression, accessibility and quality of mental health services. He has worked in education for over 8 years as a teacher and coach in traditional and charter schools and has worked as a clinical social worker. He holds a Master of Social Work from NYU, a Master of Educational Leadership from Lehigh University and a Bachelor of Science in Marine Biology and Gender Studies from Unity College in Maine. He has utilized these educational pathways to develop and exercise his leadership to help build cohesive multi-level partnerships among individuals and organizations seeking to build infrastructure and capacity to support Restorative Justice and its Practices in NYC. He aspires to reduce the impact of historic traumas and help mold policies that will lead to a better society for children both today and tomorrow. Jill is a restorative justice coordinator in a New York City high school. She comes to restorative justice with a deep commitment to ending racism, a major cause of the violence permeating US society and culture. Previous to focusing on justice in education, Jill spent ten years living in and working in solidarity with the people of Timor-Leste in their struggle for justice and accountability for Gross Violations of Human Rights and Crimes Against Humanity Indonesia committed during their 24 year occupation of the country. Jill has been working on peace and justice issues for more 35 years, focused on nonviolent conflict transformation. She has supported nonviolent movements in North America, Europe, Africa, Asia, and Latin America, with an emphasis on nonviolent intervention in conflict situations, from a power analysis perspective and a focus on women’s empowerment. Her aim is to empower people to develop concrete positive ways to address the causes of violence and war, and to support local actors working for peace and justice. 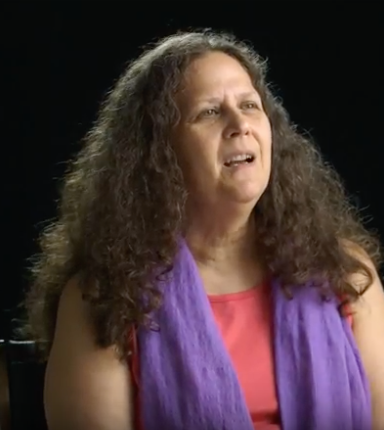 Jill finds working through conflict and confronting oppression with restorative justice tools, moves peace work into a healing framework for both survivors and perpetrators of injustice and gives deeper insights into liberation.